If you haven’t purchased a PS4 yet for Bloodborne, here’s something that may entice you. 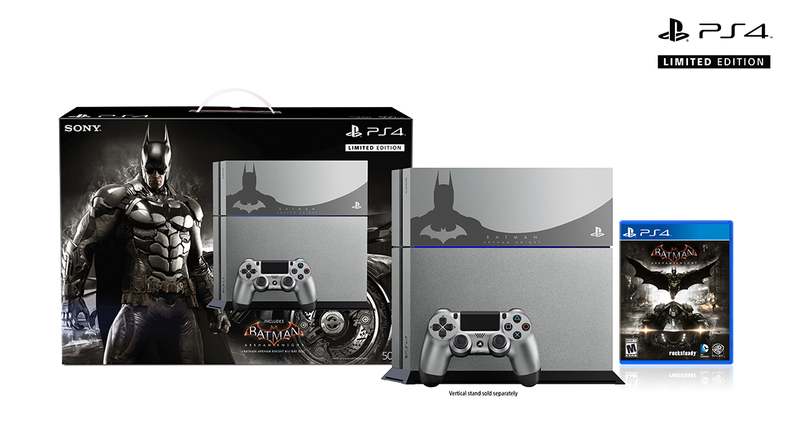 When Batman: Arkham Knight comes out on June 23, you’ll have the option of getting a jet black PS4 bundle with the game for $400. But if you toss in a bit extra, you can have this cool steel grey limited edition bundle for $450. I already own a system, so I’m not biting, but otherwise, I’d be very tempted. I guess I’ll just stick with the somewhat less expensive limited edition.